If you ask home designers what kinds of light should be used for home decoration, they probably would recommend LED down light. Because it is a popular choice for residential and commercial decoration. But Why? 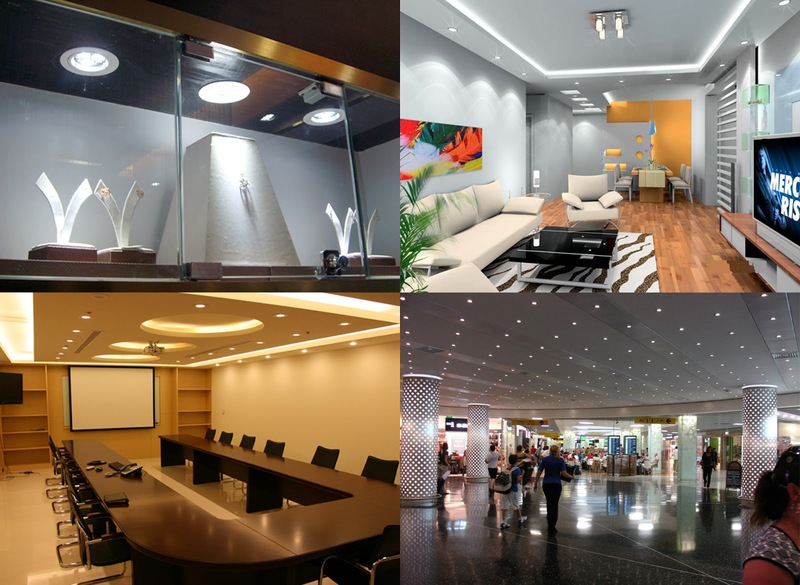 Let me show you the reasons: features & advantages of LED down light. As we mentioned in "What's LED Downlight", the design of LED down light is more beautiful and lighter. which promises a perfect installation with the architecture. It's hidden inside architectural without exposing the lighting source. The light is soft without glaring. Besides. LED down lights also have the following features. 1. Energy-saving: The power consumption of LED down light is 25% of that of ordinary energy-saving lamps. 2. Environmental-friendly: There is no mercury and other harmful substances that may cause environmental pollution. 3. Economic: LED downlight saves more energy and the cost on electricity is reduced. Money saved from energy cost a year and a half is about equal to the cost of downlight itself. People can save 10 RMB or more a month if they use LED down lights. 4. Low Carbon: Energy-saving equals to a reduction in carbon emissions. 5. Long Life: The light's service life is about 50.000 hours. If people use the light six hours a day. then it can work for about 20 years. 1. Energy-efficient: While LED light consumes 10% energy that of incandescent lamp, and 40% that of energy-saving lamps. 2. If you switch on and off the energy-saving lamps, they would burn out soon; while LED downlight is fine with it. 3. LED down light is designed with a cold light source. It is very easy to transport and install. It can be installed in any micro- or enclosed equipment. It's vibration-resistance. 4. The luminous efficiency enjoys a big breakthrough with the rapid progress of LED lighting technology. Also the prices have also been reduced. 5. Eco-friendly: No mercury (Hg) and other substances that are harmful to the environment. The parts of LED down light can be very easily disassembled and recycled. LED light does not contain infrared light or ultraviolet. 6. Fast response: LED down light can be power up very fast, while the traditional high-pressure sodium lamp can not. It is clear that as long as a continuous improvement of LED lighting technology, the cost of LED lighting would reduce. Energy-saving lamps and incandescent lamps will inevitably be replaced by LED lamps. "Service Life and Price of LED Downlight"
"Difference Between Downlights and Spotlights"